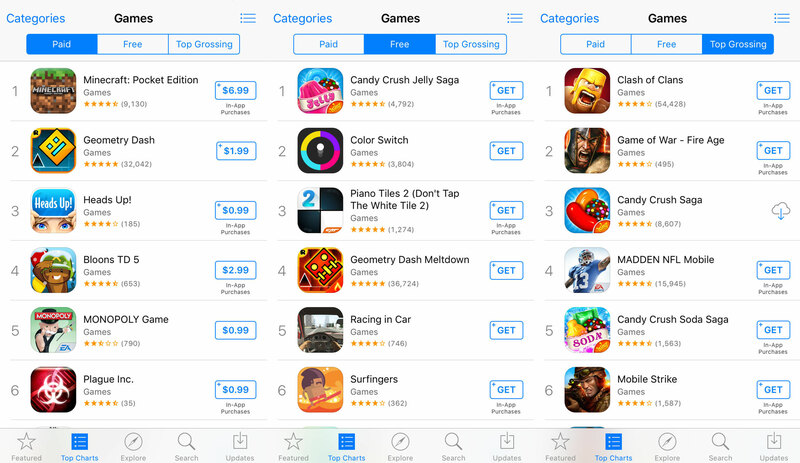 Mobile App Analytics: What’s a Good App Store Page Conversion Rate? We Asked 10M Users. When clients call to talk about experiments they can run with our A/B testing platform, one of the questions that keeps coming up is what’s a good conversion rate. It makes sense, it’s mobile app analytics basics. Indeed, it doesn’t matter how pretty the icon looks unless it brings you more installs and makes your products the best apps to advertise. But what’s good app store conversion? 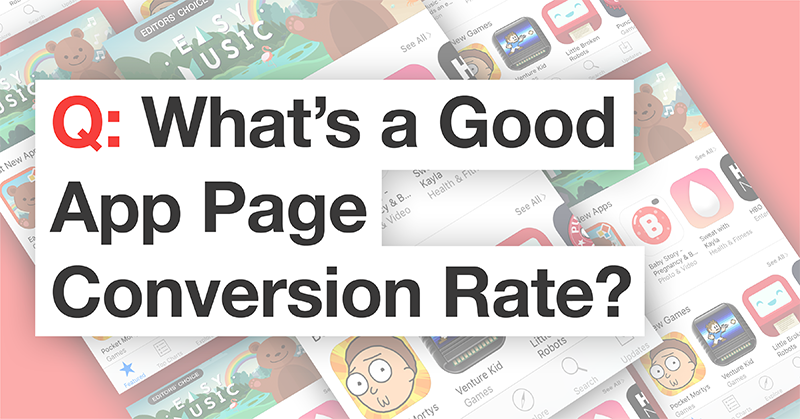 How do you measure your app store page performance? Aggregated mobile app analytics and conversion data from other apps will help you see where you stand so that you can set better, smarter, and more tangible goals. This post summarizes the data we’ve gathered from hundreds of experiments with over 10 million users. 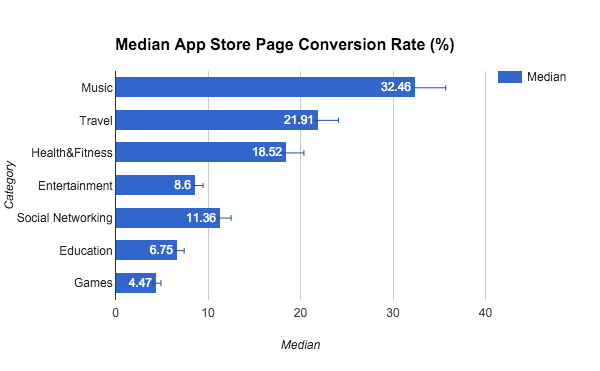 It also breaks down the median app store page and app store ads conversion stats by category. 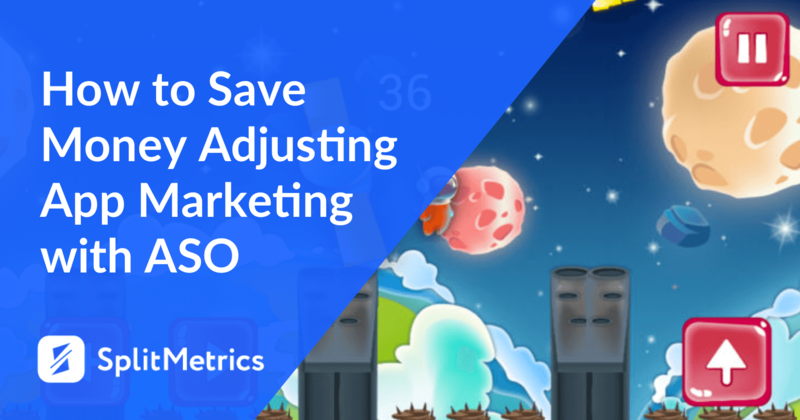 You can use these benchmarks as a starting point to guide your ASO activities (or to break and set new records in conversion optimization). Game on! Mobile App Analytics: What’s App Store Page Conversion Rate? 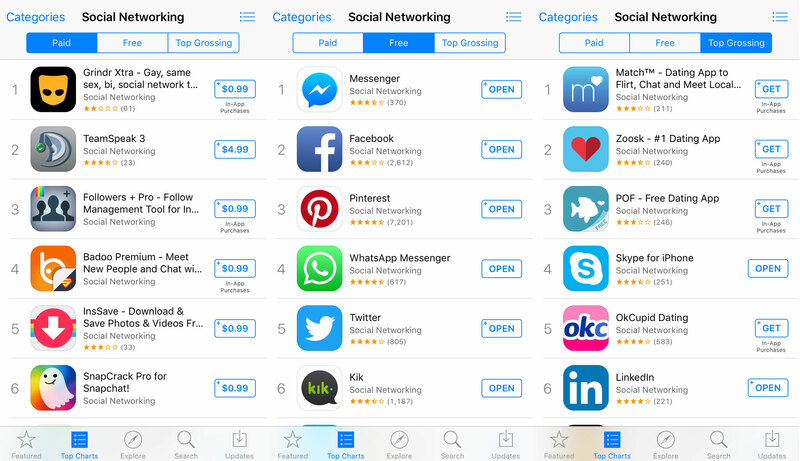 App store browsing, or organic search, remains the most popular method for finding and downloading new apps. The number of apps is growing with a rate so rapid that an average Android user now has a choice of 1.6 million apps on Google Play. For iOS it’s a bit less – but no less than 1.5 M.
While little is known about the precise workings of the search algorithm and app store SEO, mobile growth hackers are on a continuous quest to find new ways to turn lookers into buyers. They ideate, A/B test, optimize, and engage in other ASO (App Store Optimization) activities to increase the conversion rate from page views to app installs. 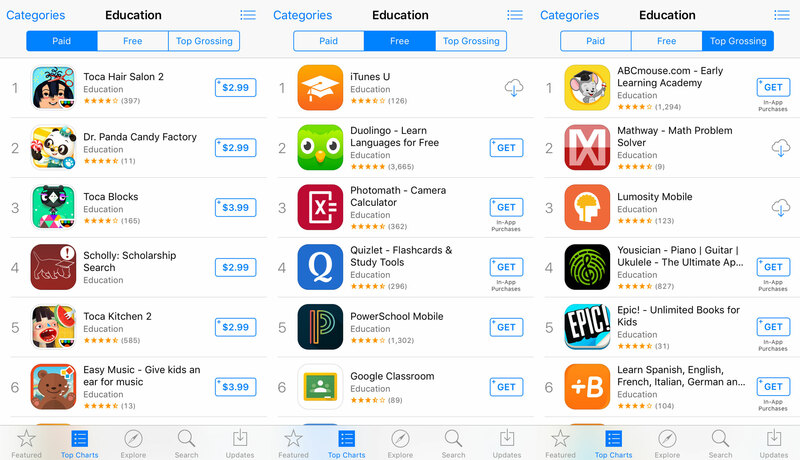 At SplitMetrics, we help publishers get the visual component of their app store page right. Whether visitors discover your page via organic search or through an ad campaign, we want to make sure you have all the right creatives in place. That is, you have the best-performing mobile icons, app store screenshots, description, video preview, and other elements of the page. When visitors come to your app page, you will convert and conquer. And learn insights into mobile app analytics as well. In 2015 we conducted over 300 experiments across multiple app categories. The mobile app analytics data we’re sharing comes from 10 million iOS and Android users from our clients’ statistically significant A/B tests on icons, screenshots, description, and other elements of the app store page. The median conversion rates we give you as industry benchmarks are based on the data from Games, Entertainment, Social Networking, Education, Health and Fitness, Travel, and Music categories. These categories were most represented in our experiments, so the sample size could provide statistically significant data on mobile app analytics. By talking about app store page conversion rate in this post, I’m referring to the number of app downloads divided by the number of app page views, shown as percentage. Note: The number of app store views reflects the number of times your app’s page has been viewed on a user’s device. When you’re into mobile A/B testing of your creatives with SplitMetrics, this will reflect the number of clicks you get to your page from a campaign’s link. We’ll also show you the number of users who dropped before they got to the page so that you can have the full picture. For the accuracy of mobile app analytics benchmarks, we share in this post, we excluded dropped visits from the data. Smartphone game apps are growing at explosive rates, eating up a huge chunk of time people spend on public transportation, in lines and airports, and virtually anywhere – despite being a major battery hog. With so many choices available to provide immediate gratification to a smartphone user, apps in Games category show the lowest conversion rate, with the median conversion of 4.47% and the largest discrepancy between the highest and the lowest value (78.33% vs. 0.87%). Well, people like different games. Also, the difference between a high-performing and a low-performing app store design can be very drastic, and it pays off to focus on optimizing app store conversion to save big on your ad campaigns. 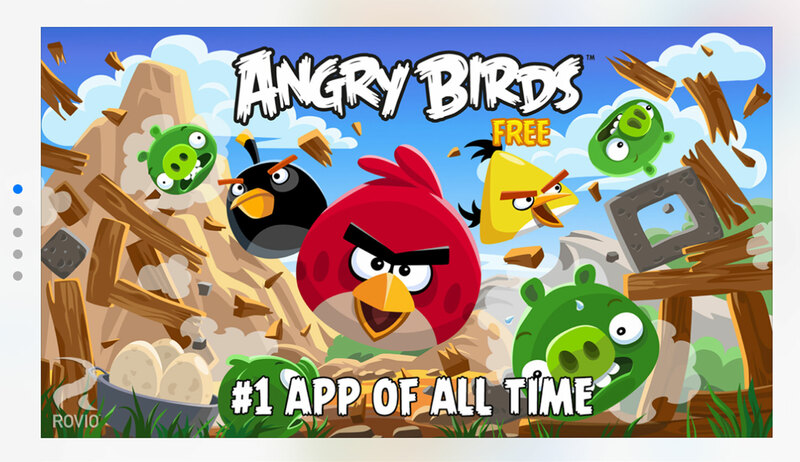 For example, Rovio’s Angry Birds managed to increase its conversion as high as up to 30% by optimizing screenshots. The entertainment category comprises apps with different functions ranging from selfie enhancers and pop icon emojis to video-streaming services such as HBO Now and Netflix. According to Nielsen, the emergence and rapid growth of entertainment apps is the reason we now see a big increase in the average time users engage with apps. The median conversion rate for Entertainment is at a low 8.6%. Again, the difference between the maximum and the minimum conversion percent value is huge – 78.33% vs. 0.86%. Apps in this category include messengers, social networks (with Facebook holding the monopoly at the top for as long as I can remember), professional networking apps, and dating apps. Recently, Peach broke into the free charts with its micro-content sharing and “magic words” that you text into a field to start drawing or share a location. As for all social networking apps, “the next big thing” will be as big as the crowd it will manage to retain in the next couple of months. The median conversion rate for apps in the Social Networking category is 11.36%, with the difference in conversion ranging from 81.65% at its best and 0.53% at its worst. Whatever the age, it’s never too late to charge your grey cells, and the category delivers. From fun memory games to puzzles and MOOCs, education apps can fool an adult that you’re playing when you’re learning. My recent favorite is Blaze and the Monster Machines Dinosaur Rescue, a $3.99 app from Nickelodeon teaching preschoolers STEM (Science, Technology, Engineering, and Math) concepts as they travel through Dino Valley. Despite the recent controversy with Lumosity “brain training” games (the developer paid $2 million for misleading claims about cognitive benefits), chances are people will continue buying in the brainpower-enhancing promises. Maybe because we’re genetically wired to look for shortcuts, maybe because some of theme education apps are seriously a lot of fun. The median conversion rate for the Education category is 6.75%, with 44.81% maximum conversion rate and 1.93% at its lowest. Fitness novices and experts use apps to track and plan workouts, look up exercises, take gym selfies, or indulge in moments of zen with meditation sounds. The health and wellness movement has been making trends in the last couple of years, and health & fitness category publishers are riding the wave. For example, the new Sweat With Kayla app, released by a famous fitness guru Kayla Itsines earlier this month, became number 1 grossing app in less than a week despite the fans’ criticism for being “too expensive”. 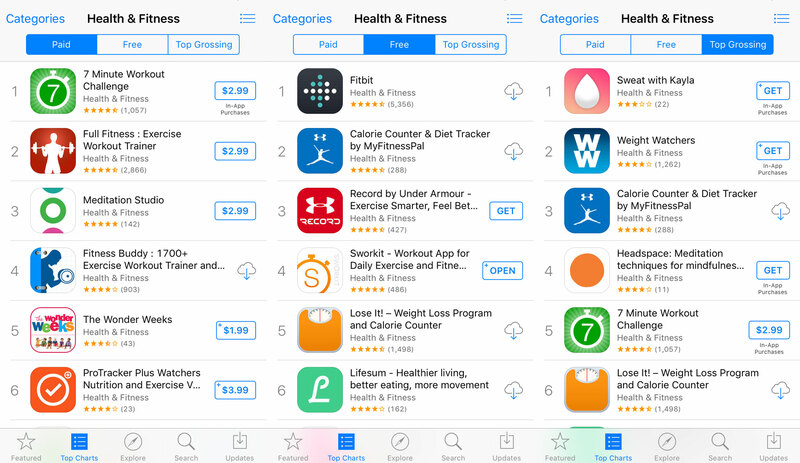 And subscription-based health and fitness apps seem to be the ones cashing in most with every new year resolution season and beyond. The median conversion rate for Health & Fitness category is 18.52%, with a difference across apps ranging from 57.68% to a low 0.94%. Travel apps help mobile users explore and get around with clear directions, whether it is exploring the new terrains or driving to a local supermarket. The category also includes taxi service apps, hotel booking, language learning and wifi spots tracking. From weekend trips to summer vacations, apps keep travelers sane with reminders, organized itineraries and fast lodging search that also helps save the buck. The conversion rate is pretty high, at media 21.91%, with maximum 66.1% and minimum 3.86%. A clear winner in the dicey game of app store page conversion, Music category features a whopping (compared to others) median value of 32.46%, and the highest of all categories minimum median of 4.91% (the highest is a modest 53.57%). These are apps that offer music and video streaming, radio, metronomes, and more. The audio-only content is here to stay – YouTube’s recent official YouTube Music app with audio-only mode is a proof. Mobile App Analytics: What’s a Good Conversion Rate for a Mobile App’s Page? The average install rate across all the apps that we have tracked is 26,4%. Obviously, the data comes with extremes. The highest conversion rate we tracked for games was 81.71%, and the lowest – 0.36%. Why such big difference? The major factor in determining the rate is the source of traffic. Why should we care so much about optimizing conversion? Conversion is the number one element in media buying. If people come to your app page, but don’t download the app, what’s the point? Optimizing your conversion rate helps ensure you’re getting every cent’s worth of your PPC. When you find the creatives that work best, you’ll be able to convert a maximum percentage of your app page visitors into users. How to Increase Your App Page Conversion? Simple answer: by testing and acting upon the data from testing multiple hypotheses. On average, A/B testing screenshots can boost your app page performance up to 20%. You can experiment with background color, copy, landscape/portrait orientation, or shuffle the same screenshots to see which one should run in the front. The maximum improvement we observed got up to 650%. Some of the key metrics (besides conversion rate) you want to look at are screenshot view rate and average view duration. 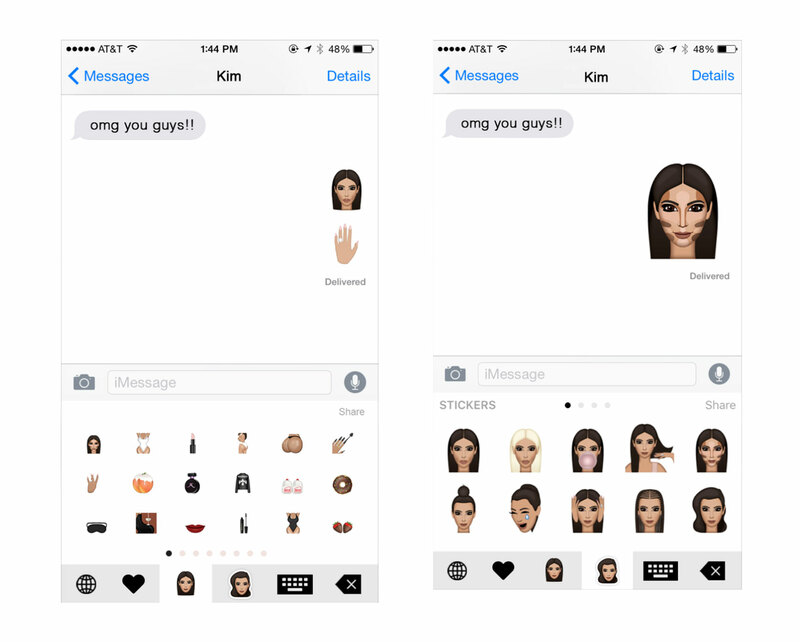 Experiments with icons can bring you up to 26% increase in app page performance. The first thing that catches the user’s eye in search results, often it’s the only thing user will actually pay attention to. The maximum improvement we observed was as high as 560%. Optimized description in our experiments on average yielded 21% increase in conversion. The maximum results our clients were able to get with a change in description was 59.57%. Sometimes changes as simple as the first 3 words and a stronger call-to-action can make all the difference. On average, experiments with video previews improved app pages’ performance by 16%. The maximum increase we saw was 110%. Interestingly, in many cases app store pages were better off without video preview than with one. You can find more on app optimizing of store pages with SplitMetrics. After tracking more than 10 million mobile users and mulling over mobile app analytics, we observed a broad gap in conversion between high-performing and low-performing app pages. 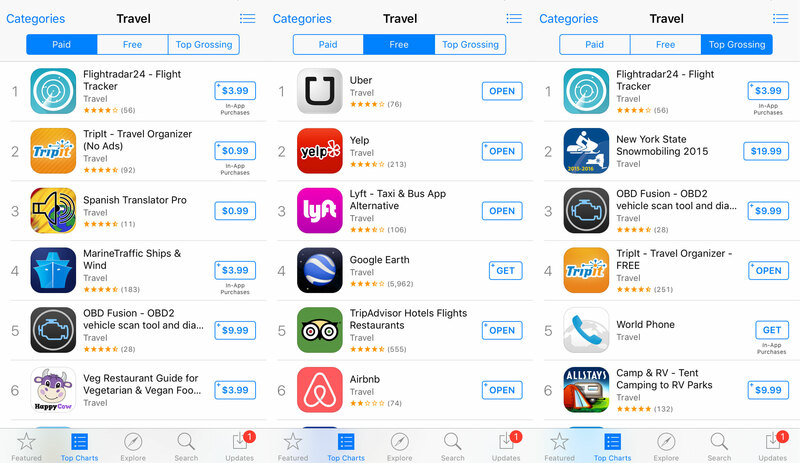 We can say for sure that app store page conversion is a yo-yo variable. The good news is that achieving a high conversion rate for your app is still possible. 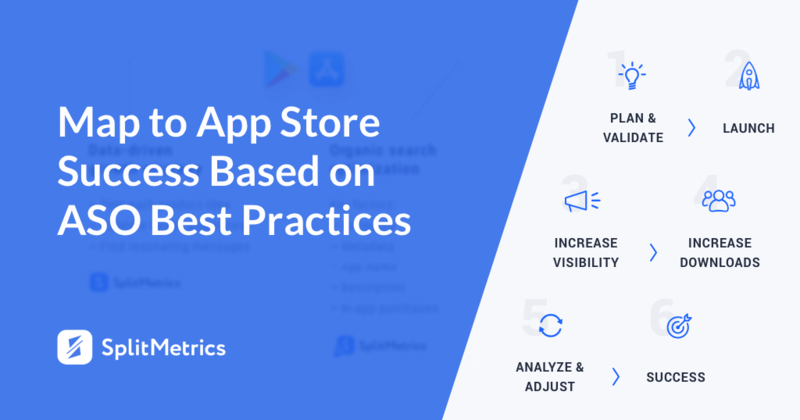 We’ve collected mobile app analytics data to provide you median conversion rates across 7 categories that can make a good start for your optimization activities and succeed app store success. 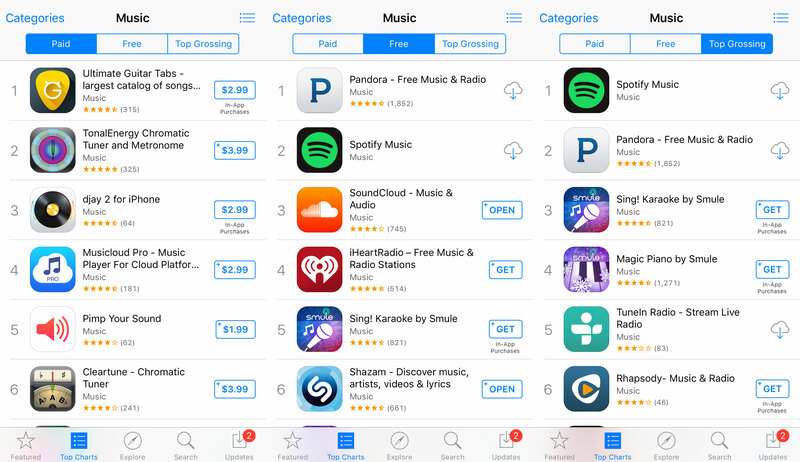 The conversion increase magic happens when marketers generate ideas and creatives of what a converting app store page looks like, and then test it to back their concepts with real actionable data. 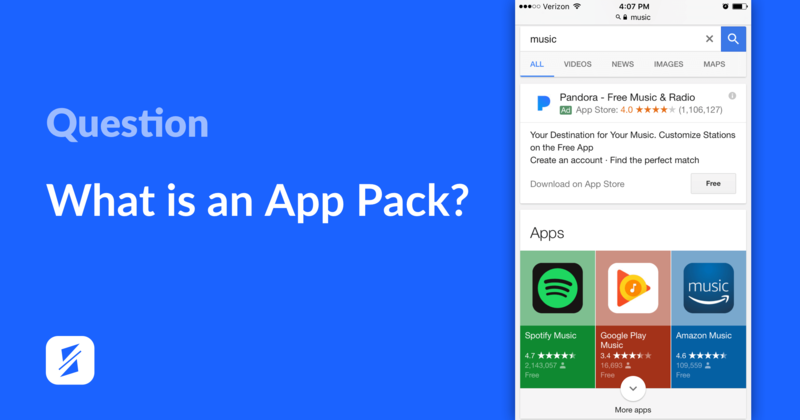 It’s the art and science of app store optimization, and the winning combination that turns views into downloads at a high rate. Hello, did you test only apps with >10M users, or a group of apps whose members sum up to 10M users? Hi Marianne! It’s the total number of people we tested across different apps. Any idea what the median conversion rate would be for a finance category? They recently started showing impressions in the app analytics. What is a good conversion rate for impressions to page views? Hi Anya! Do you have this rate for tools category? Are these the conversion rates for paid or free apps? So helpful. Thanks! We’re hoping to get our consumer cybersecurity app up soon. Great article. Can you elaborate on which stores the data is from? Is it both iOS and Google Play? What about organic vs. paid users – is that something you have taken into account? Hi Kasper, the stats are for A/B tests conducted via SplitMetrics so all of the traffic was paid. This article is very helpfully datelined “January 17” without mentioning a year, but as of today, the comments go back three years – so one assumes it’s from 2016. Have you published an update? 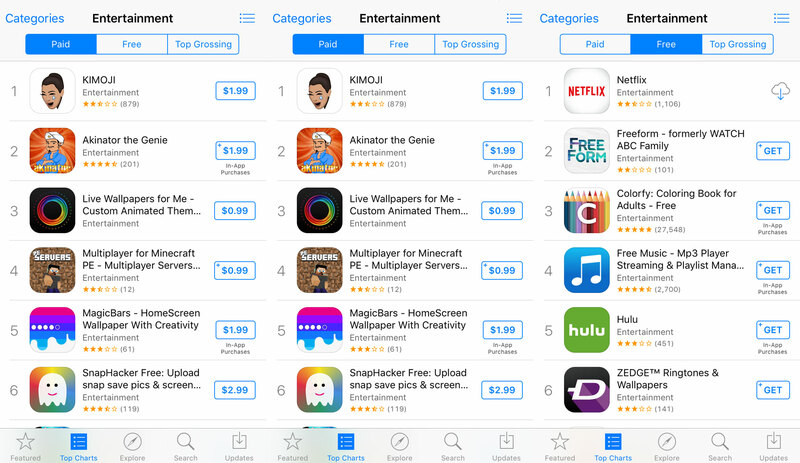 Are these numbers for free or paid apps (or a combination)? One would expect conversion rates to differ for free and paid apps, so providing separate figures would greatly improve the picture. Hi Robin, this data is for both free and paid apps. We plan to update the benchmarks soon. If you subscribe to SplitMetrics newsletter, you’ll be the first to know when the update is live.